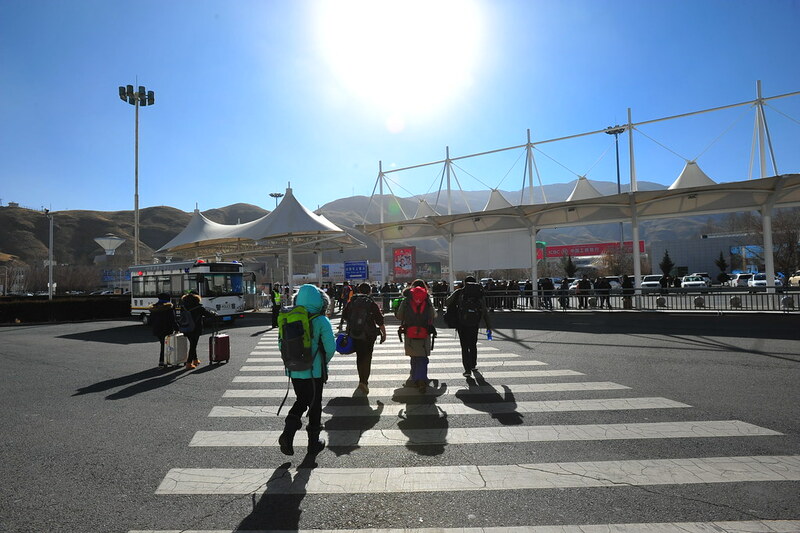 Struggling with 3 consecutive nights of 5 hours of sleep each night, we all got up again at a ridiculous 5:15am to catch a 5:30am car service to take us to the airport for a 7:40am direct flight from Xi’an to Lhasa. 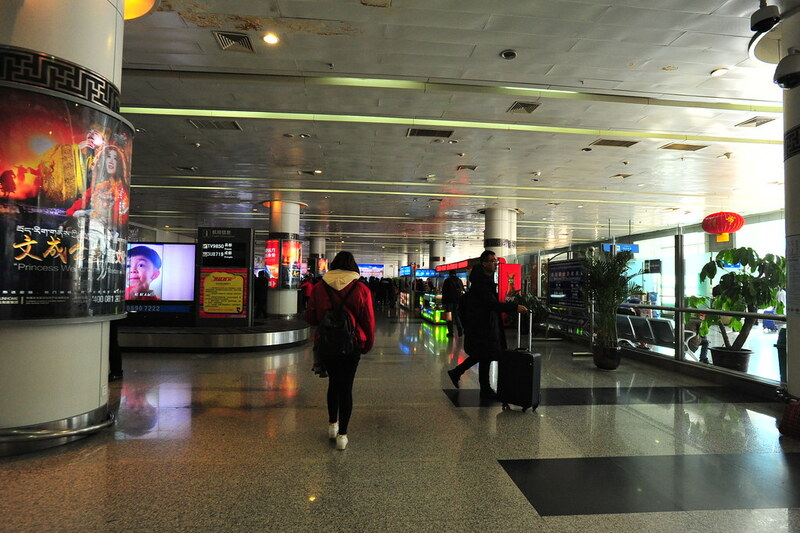 The Xi’an airport was unexpectedly crowded, so I would advise arriving an hour or two earlier as we all almost missed our flight. 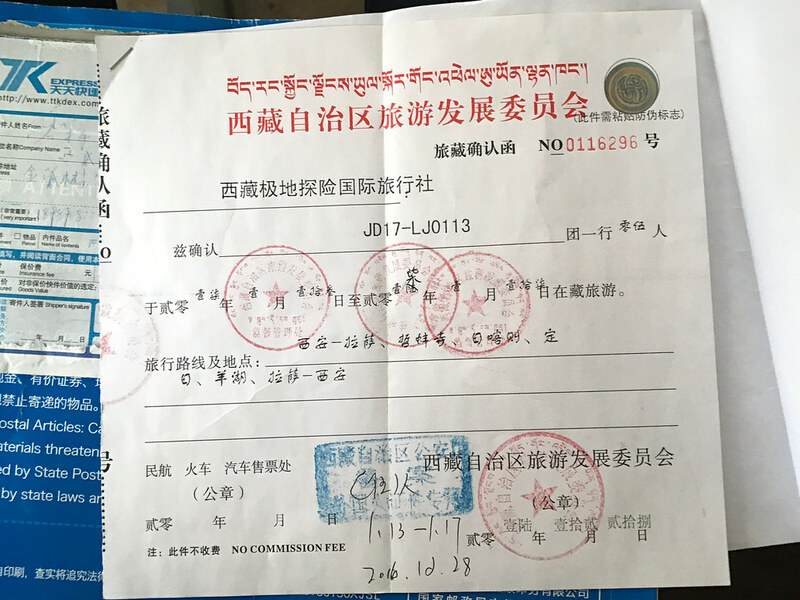 While at check-in, security, and just when you arrive, you’ll be asked to produce your Tibet permit. 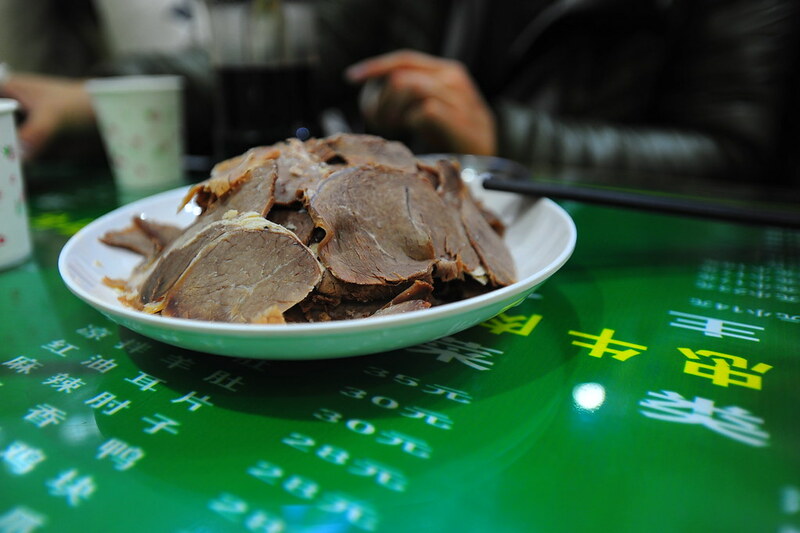 Ours is pictured below. 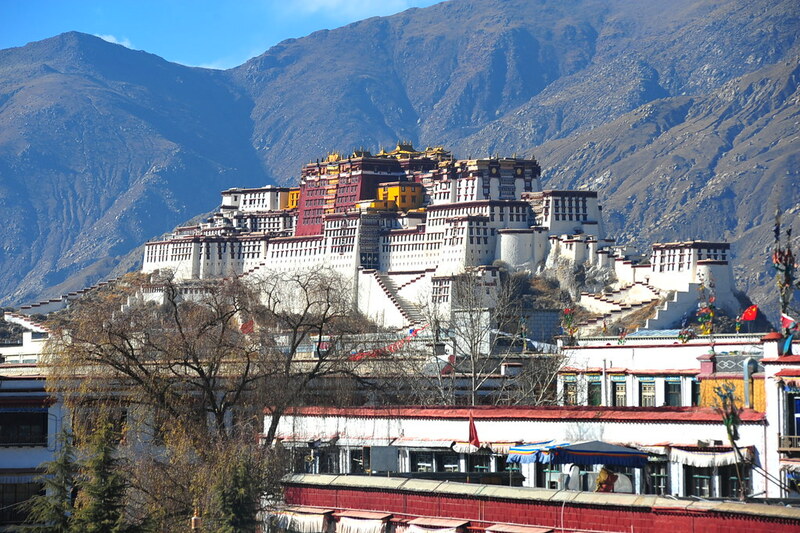 You can easily get a Tibet permit if you sign up for an official tour with a guide, which is what we did. 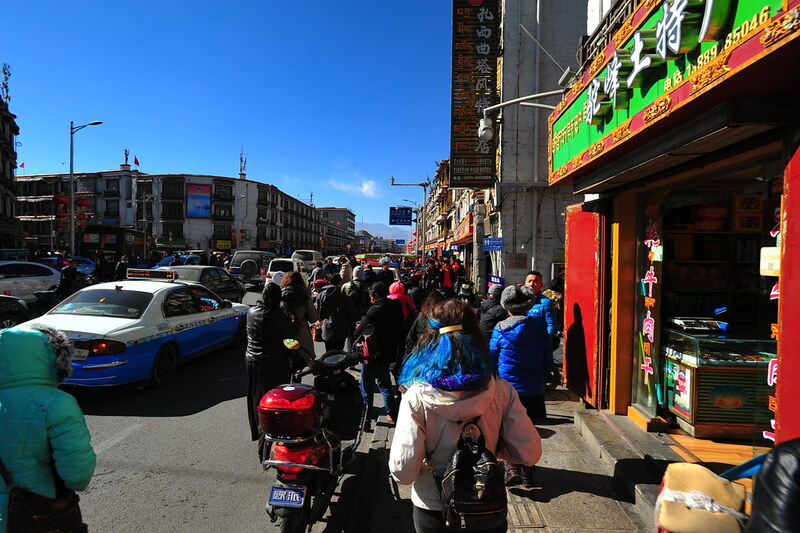 The reality we got instead in Tibet was a lot of free movement without our guide constantly watching us. 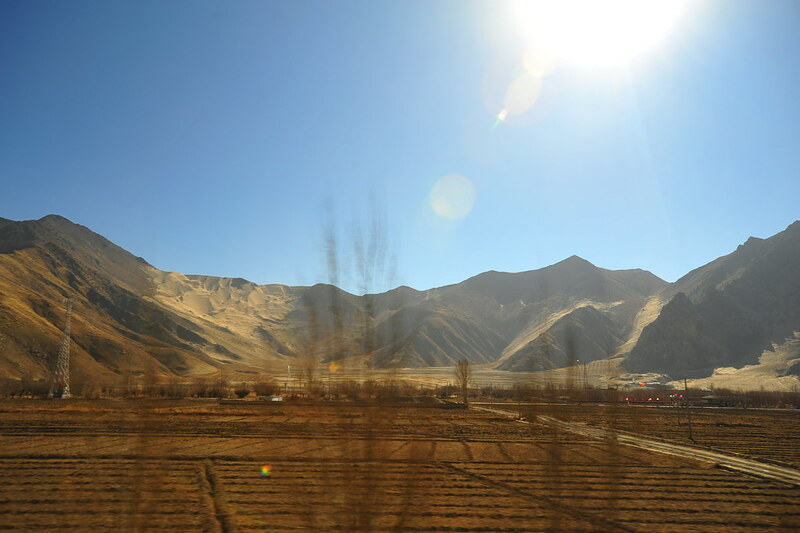 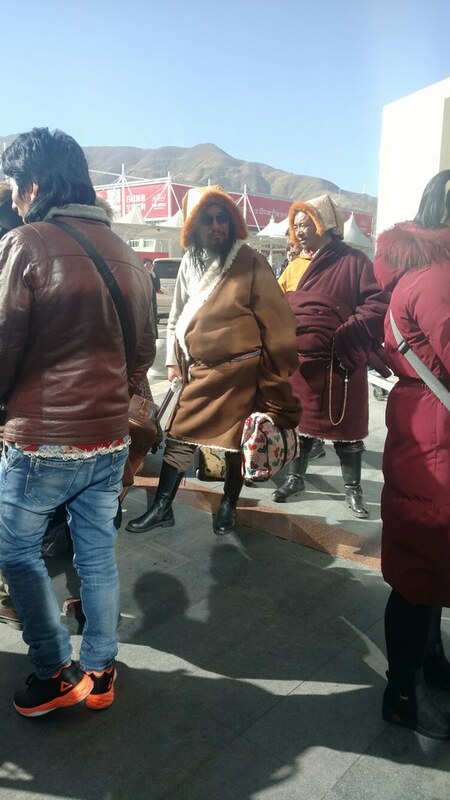 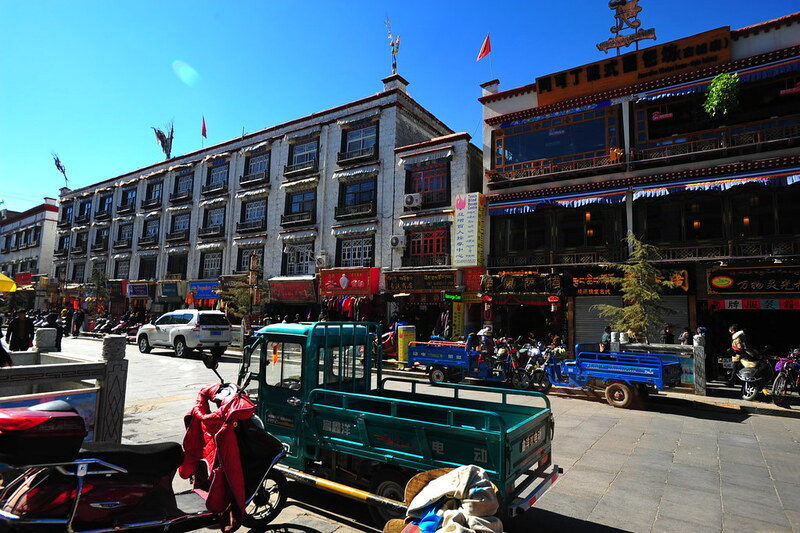 After showing our permit again to finally exit the airport proper, we were picked up by our guide Kendan before taking the one hour drive to Lhasa from the airport. 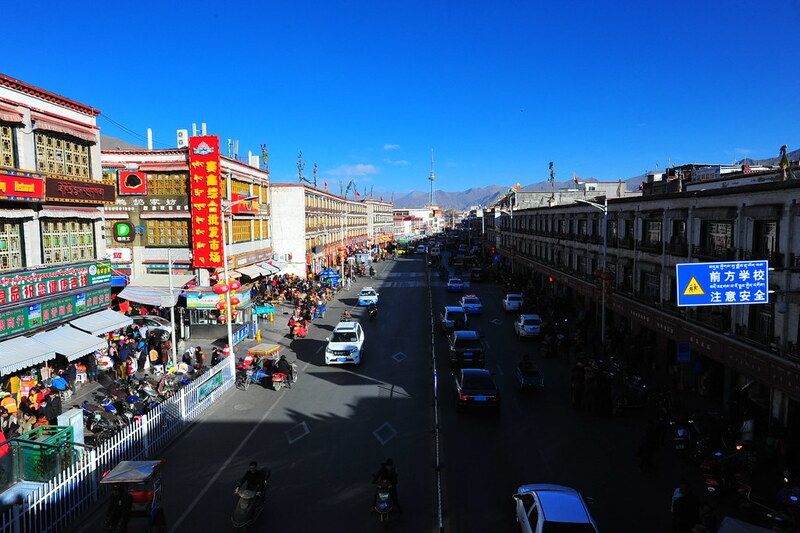 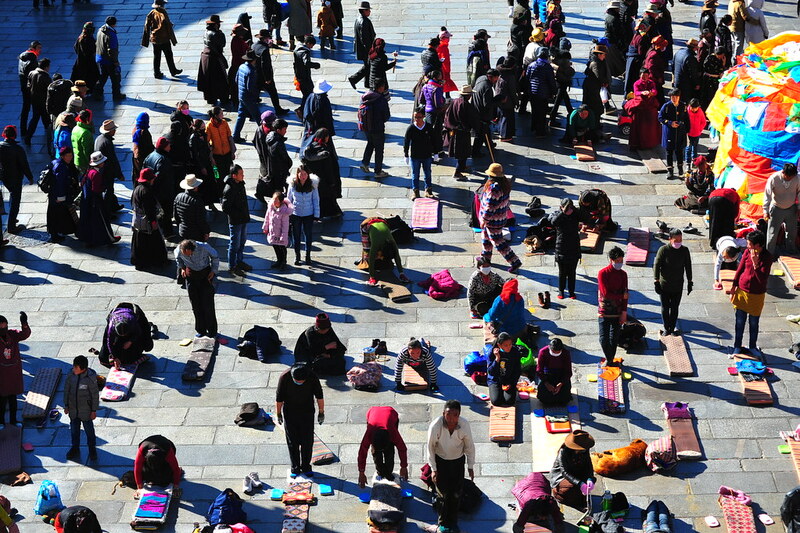 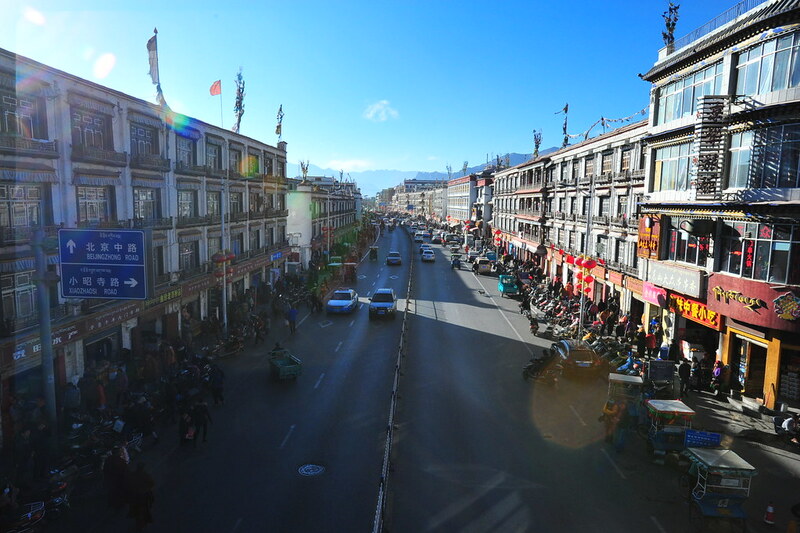 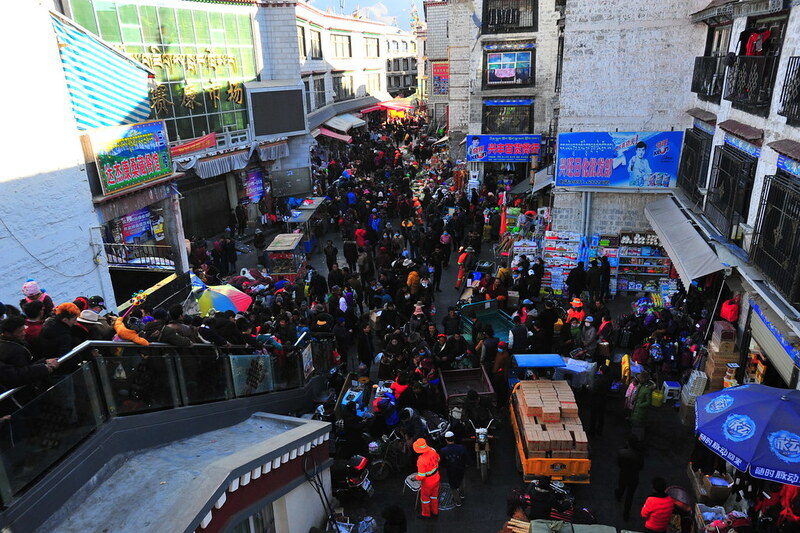 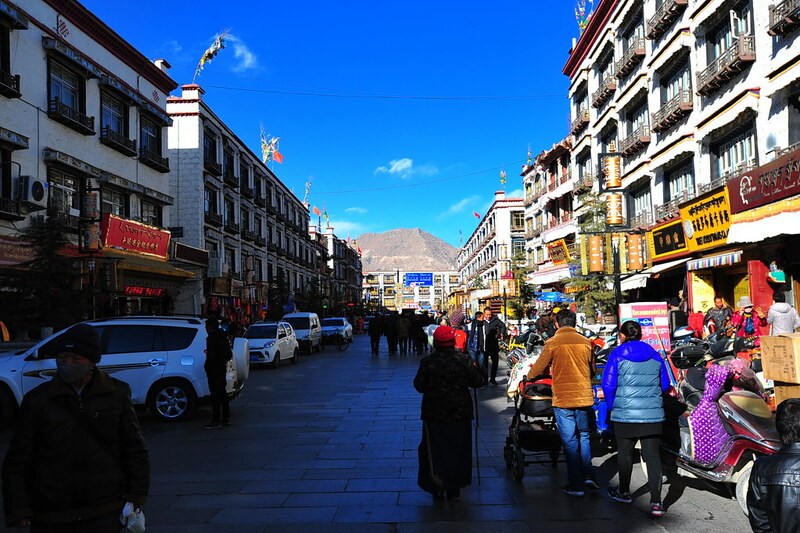 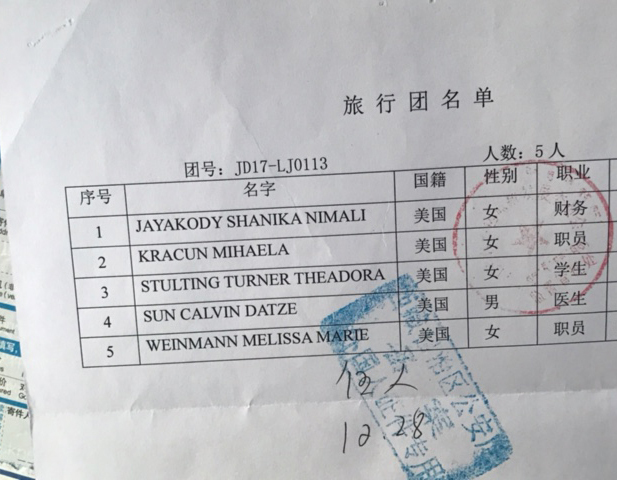 Lhasa is a bustling, congested mass of humanity set against a gorgeous valley backdrop on an elevation of 11,995 feet, for which we’ve been popping acetazolamide (Diamox) 125mg every 12 hours since yesterday as a prophylaxis for altitude sickness. 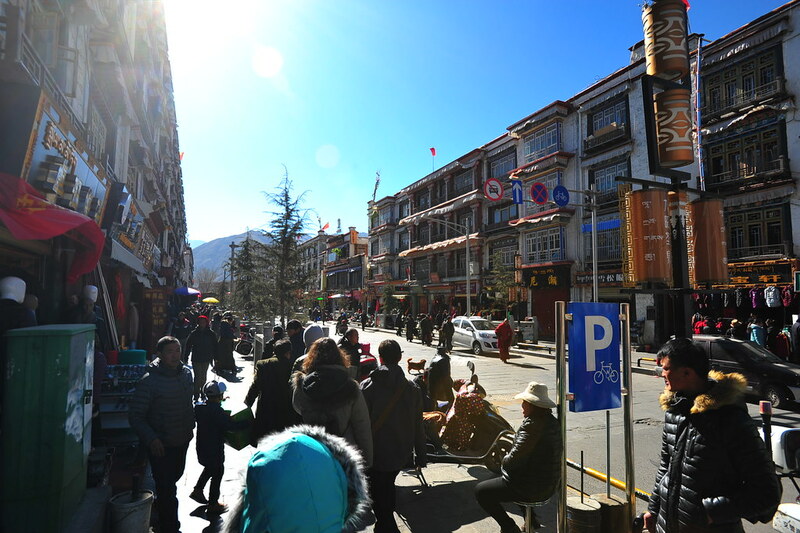 The regimen for altitude sickness prophylaxis with Diamox is to start taking it twice a day before ascent and for 3 more days afterwards. 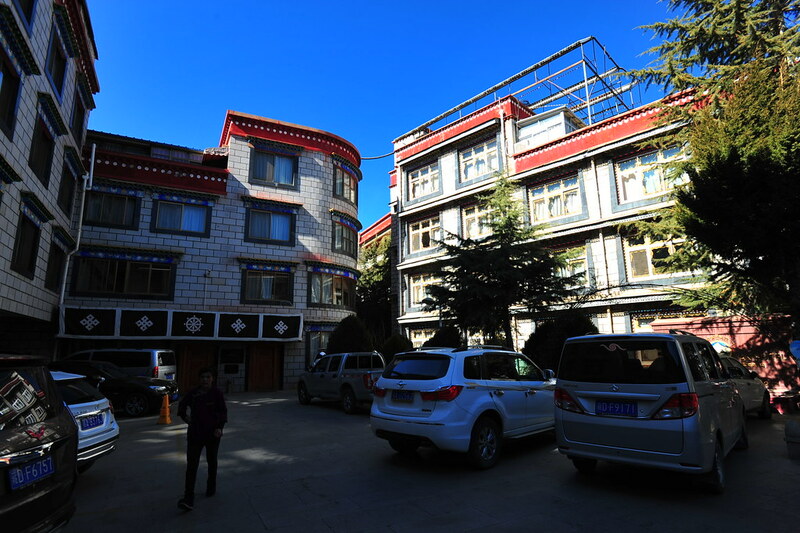 Besides the occasional increased urge to pee as one of the side effects of this carbonic anhydrase inhibitor and diuretic, so far we’ve been doing okay — some headaches, bouts of nausea and dizziness but it was nowhere as bad as how we felt when we arrived in La Paz 4 years ago. 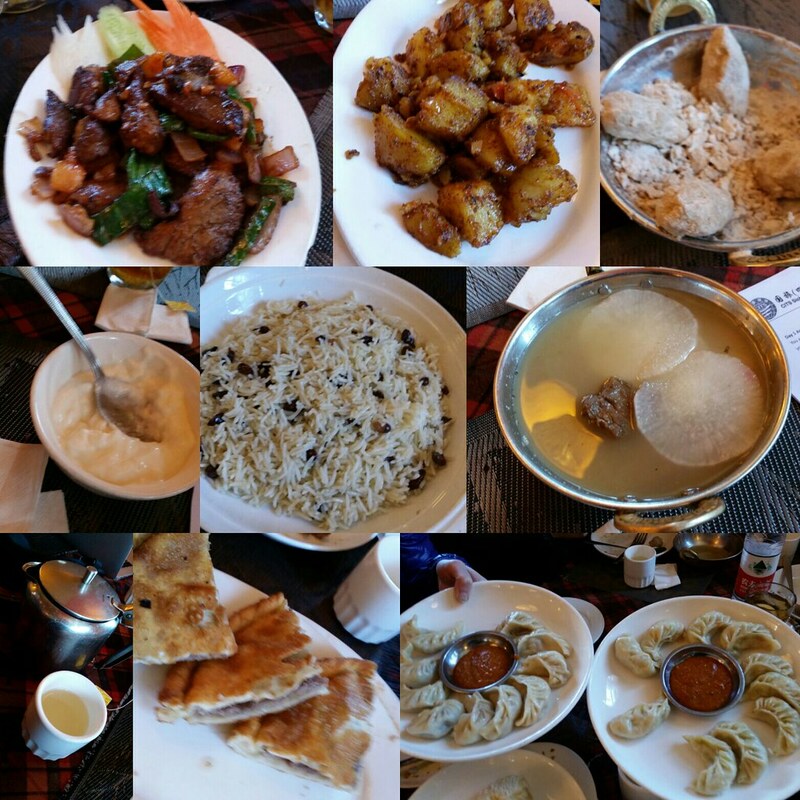 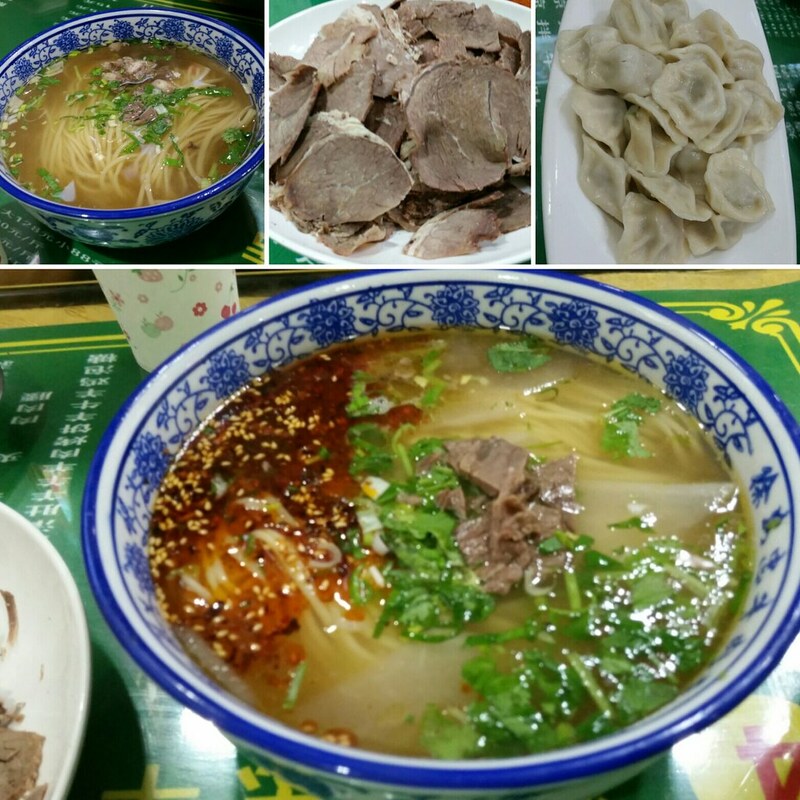 Yak meat, momos, garlic ginger tea, it’s all here! 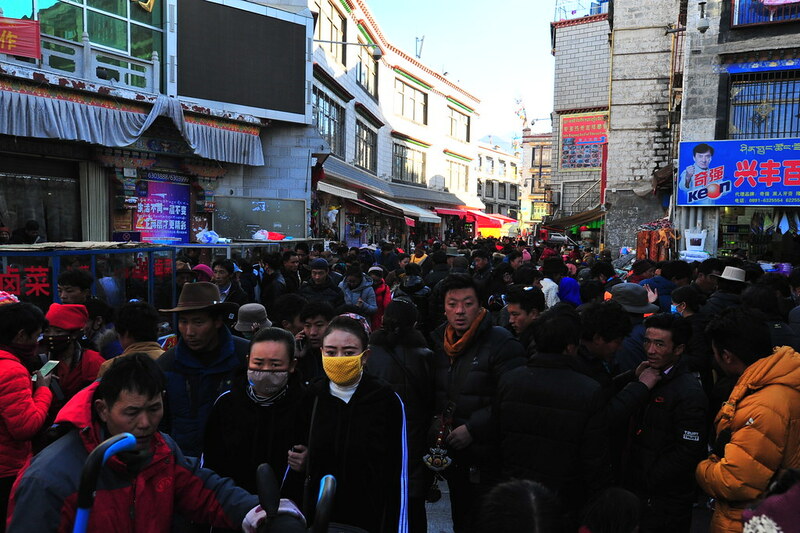 After lunch, we crossed through a round of security checks to get to Jokhang Temple, arguably the most important temple in Lhasa. 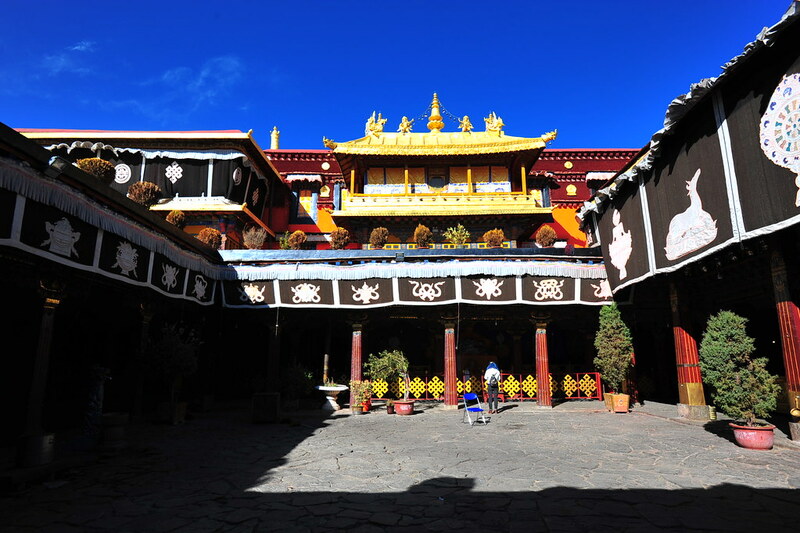 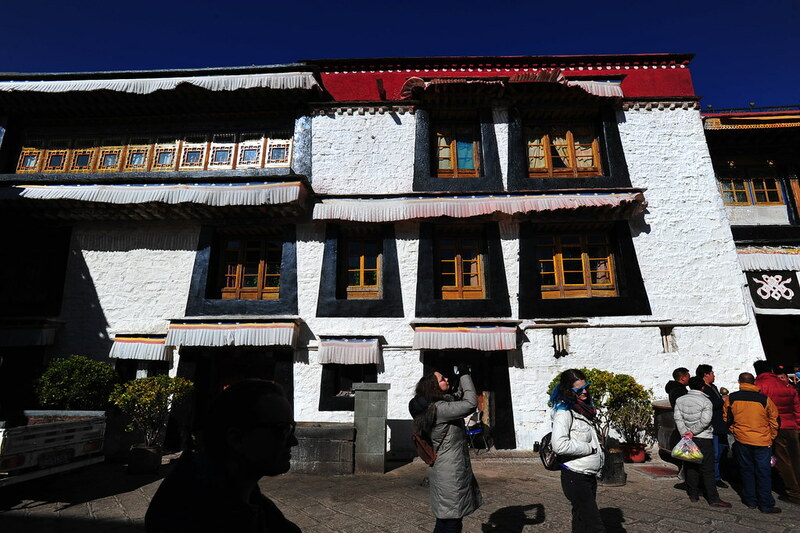 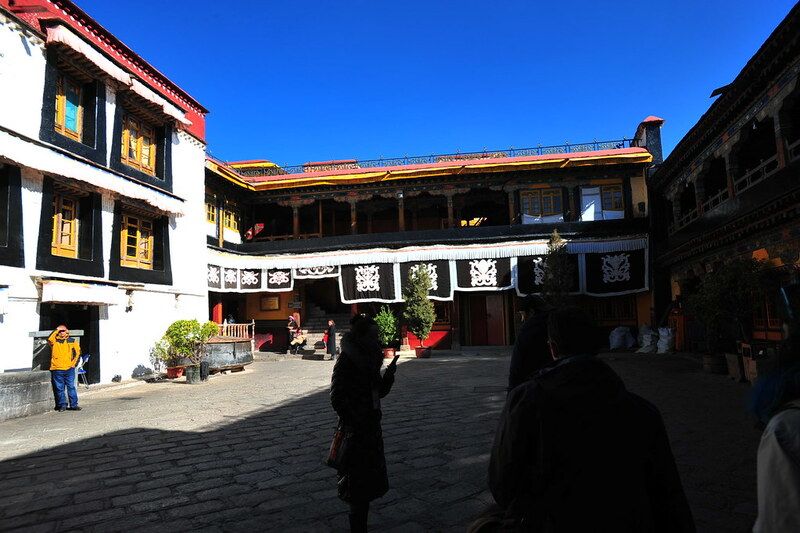 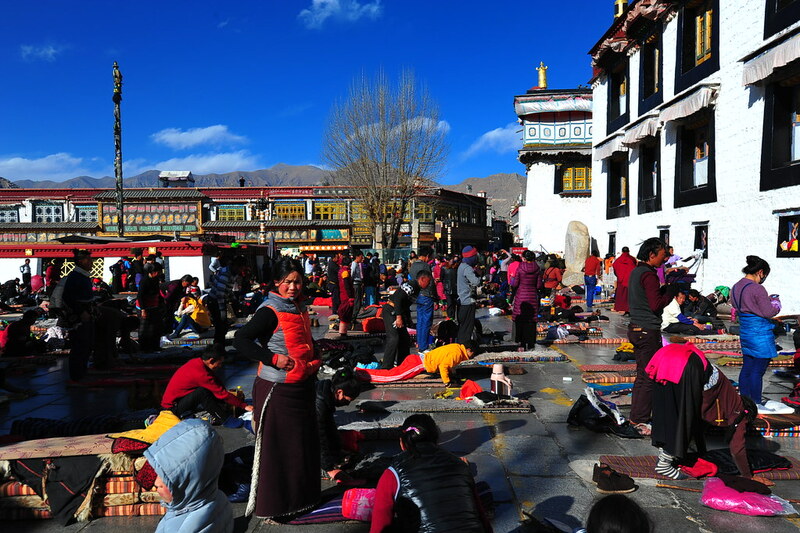 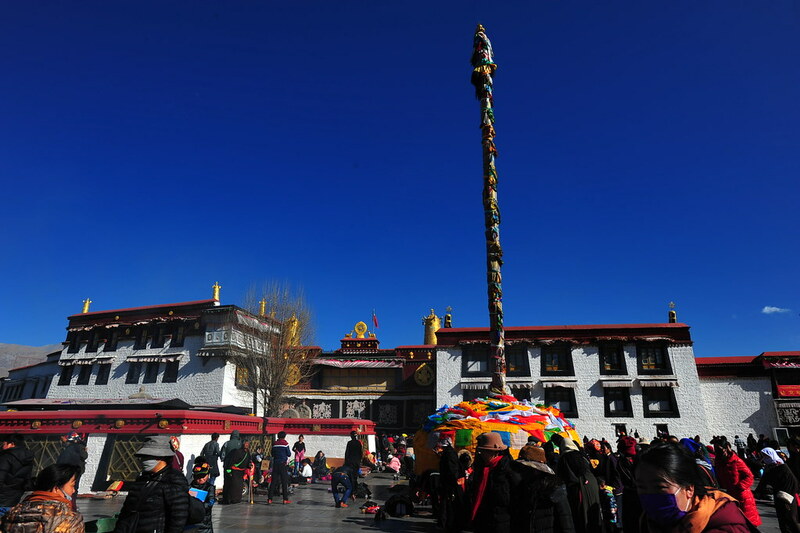 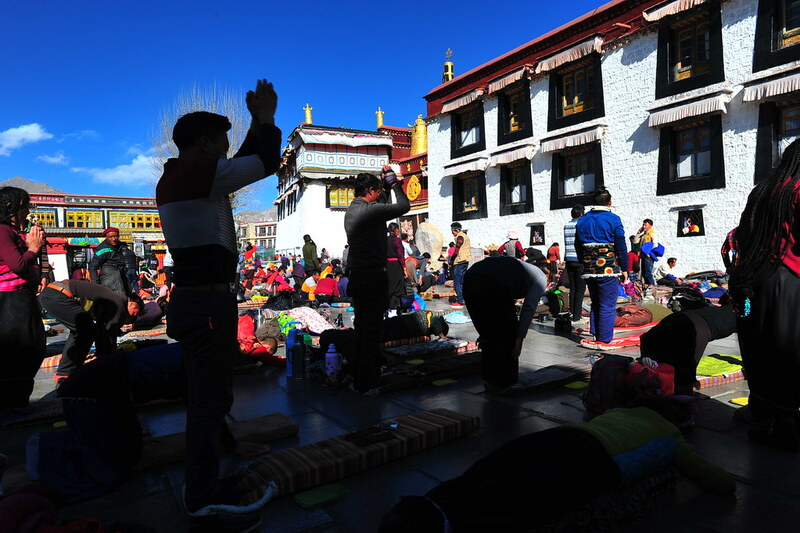 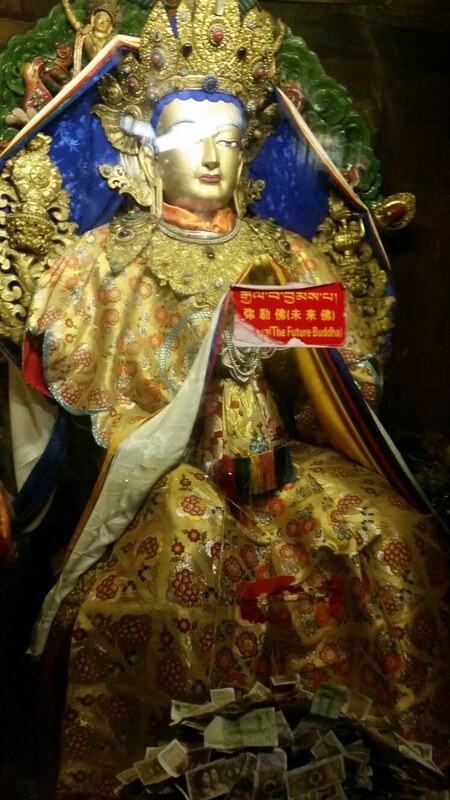 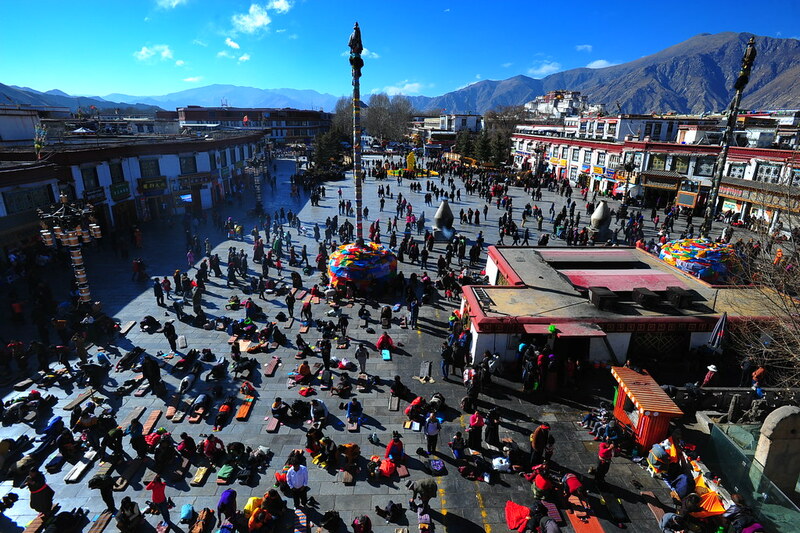 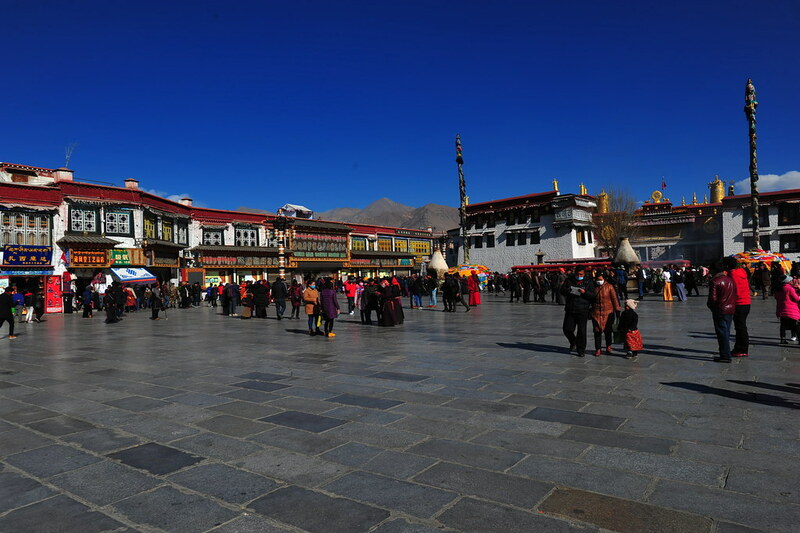 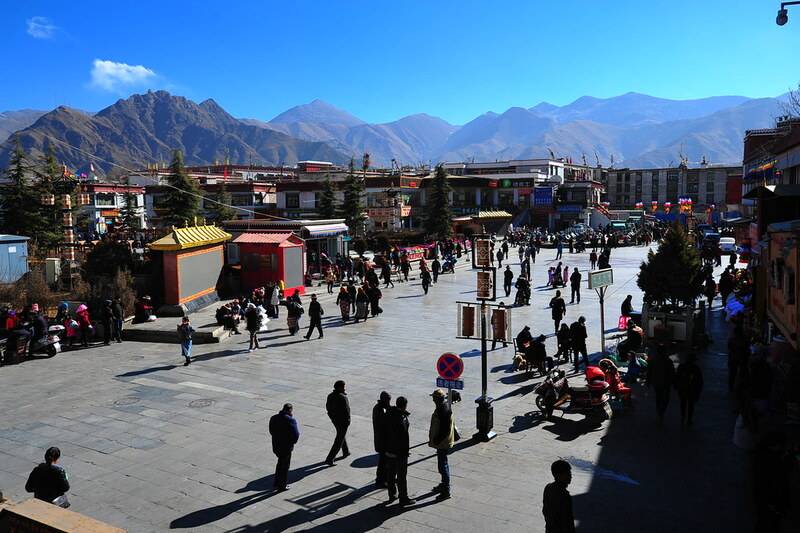 The king Songsten Gampo built Jokhang Temple during the era of the Tang Dynasty to welcome his Chinese wife, Princess Wencheng, allowing for the the union of Tang China to Tubo Tibet. 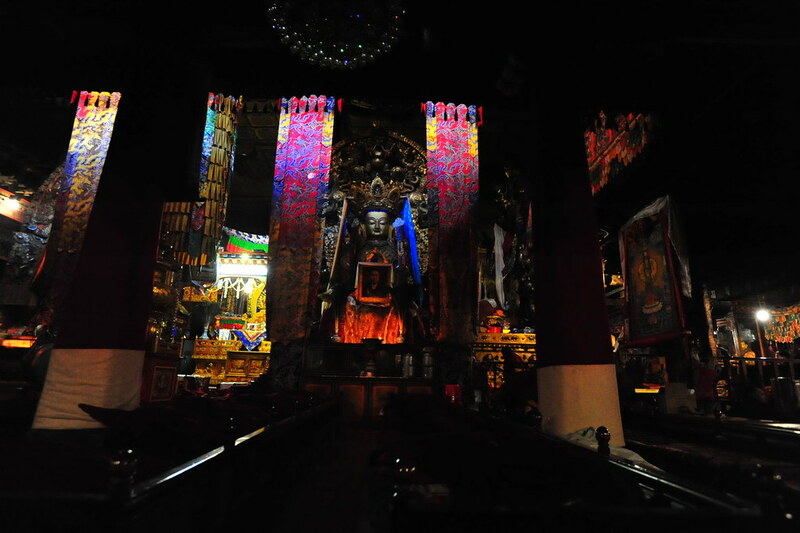 Once you enter it’s a quiet haven of calmness remarkably different from the outside.